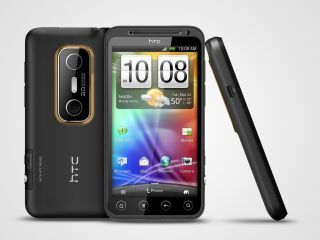 The HTC Evo 3D - down but not out? Asda must have stumbled upon a box of unsold phones in its warehouse - that's the only reason we can think of for the decision to shift the HTC Evo 3D for not much dosh. The first tri-dimensional phone never really got the success its next-gen innards warranted in the UK, with disappointing sales thanks to a sky high price tag. Asda is looking to remedy this with a SIM free version being chucked on its shelves for just a penny under £250 - although it's hard to see if even this will be enough to entice users to jump into the 3D bed with HTC's offering. It's certainly not spec-shy - it's a dual core, 1.2GHz handset (although Asda is only claiming 1GHz speeds) with a huge 1GB of RAM and 4.3-inch screen, plus two 5MP cameras with low-light capabilities. The problem is that, for a 3D handset, there was a huge dearth of 3D content when it launched, with nary a hint of a 3D film or portal to access more content. Indeed, Asda seems to be aware of this fact, by suggesting some slightly cringeworthy versions of films you could shoot with your new 3D phone - TextFest at Tiffany's is a pretty good effort though. LG is highly likely to reboot its Optimus 3D handset this year at MWC 2012 - could we see the same from HTC or is this the last death rattle of a failed experimental handset?